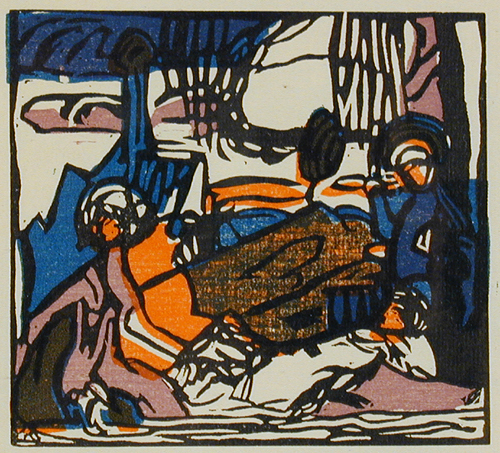 First edition woodcut from the 1913 edition of Kandinsky's milestone work Klange. The suite shows Kandinsky's early exploration of abstraction and was to mark him out as the Father of Modern Art. A copy of the signed justification page accompanies this print.